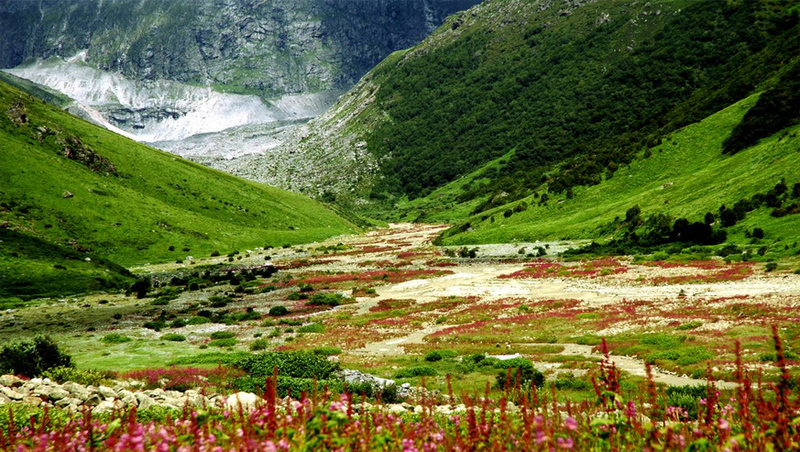 Char dham tour packages with Valley of Flowers which is one of the most visited tourist destinations. Char Dham Yatra with Valley of Flower, valley of flowers, valley of flowers tours, valley of flower tour package, chardham with valley of flowers. 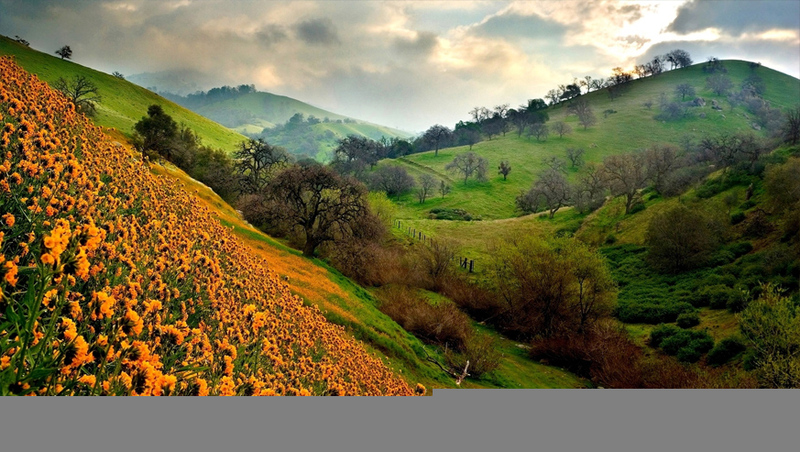 High in the Himalayan ranges of Garhwal hills of Uttaranchal lies an enchanted valley. 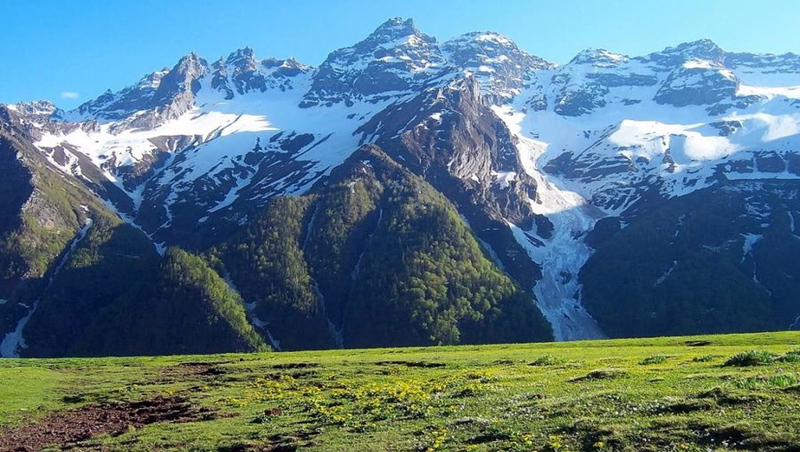 Here flowerful pastures with clear running streams are set against silver birches and shining snow peak. 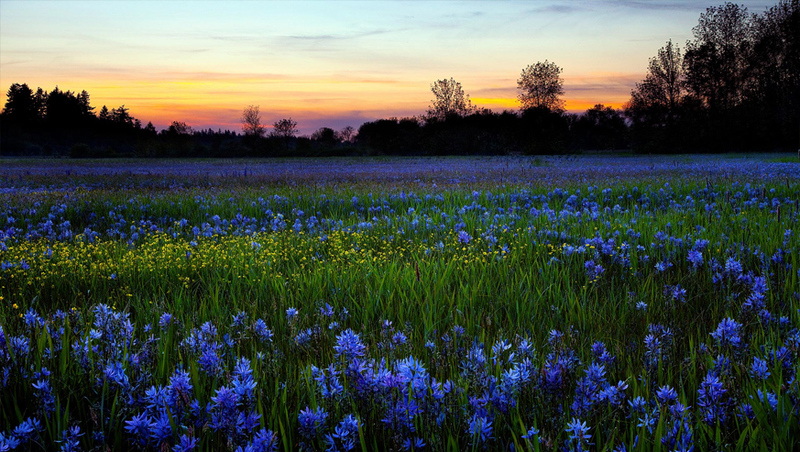 Dew lies thick on the flowers,birds sing in the surrounding forest and the air is pure and charged with floral smells. Hidden from the probing eyes of civilisation, Valley of Flower had been known to the inhabitants as the Bhyundar Valley, the playground of fairies and nymphs. Trespassing their celestial abode was avoided although shepherds did take the liberty to graze their cattle here. Legends associate this valley with the area from where Hanumanji of Ramayana collected. 'Sanjeevani' herbs to revive Lakshmana, the younger brother of Rama. Hanuman had to visit far-flung areas in his search for the life-saving herbs, some named after him." 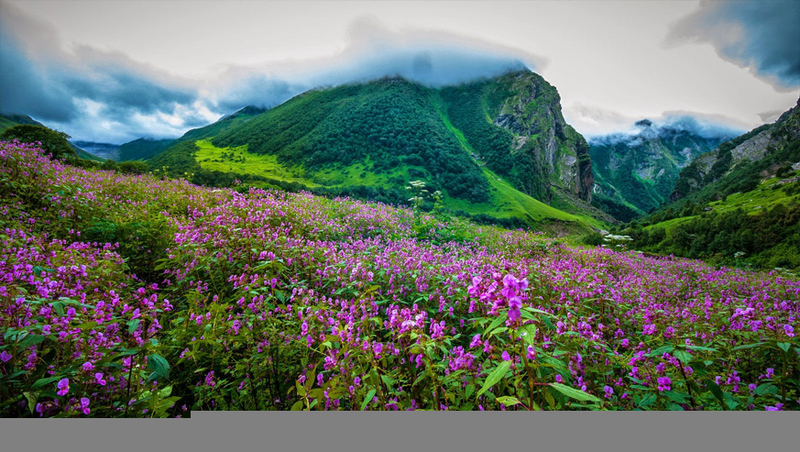 The beautiful place located in the Himalayan region of Uttarakhand with different species of blooms playing in the mesmerizing environment that attracts every tourists with its breathtaking view, that is called 'Valley of Flowers'. This is the national park of India. Nanda Devi National Park and Flower Valley National Park are jointly declared as World Heritage Sites. This valley extends over 87 square kilometers at an altitude of 3962 meters above sea level. More than three hundred flowers, like Himalayan blue poppy, rare Brahma Kamal, Orange Ponnella, Astragalus and Rosa, are now spreading their shade in the valley of flowers. The visitors who come here after seeing this unique gift of appreciation in the freezing of the Himalayas are surprised.